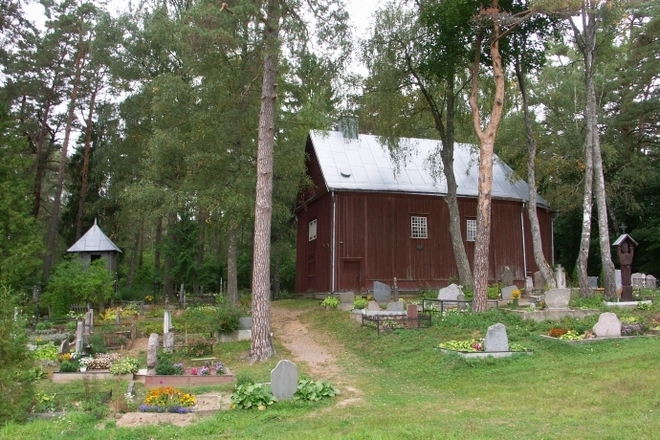 The wooden chapel of St. John the Baptist in Rudesa was built in the second half of the 18th century. The chapel was severely damaged during the war of 1812. In 1820, it was repaired and new altars were installed. To the south-west from the chapel, there is a bell tower built in the first half of the 19th century. The chapel is rectangular with a three-wall conch in its northern end. Its facades are simple and modest. The interior of the chapel is nice and cosy with preserved natural wall facture.